ATCA's Young Aviation Professionals (YAP) is a group focusing on developing the industry’s newest leaders. Industry representatives have partnered with the Air Traffic Control Association to further your career. 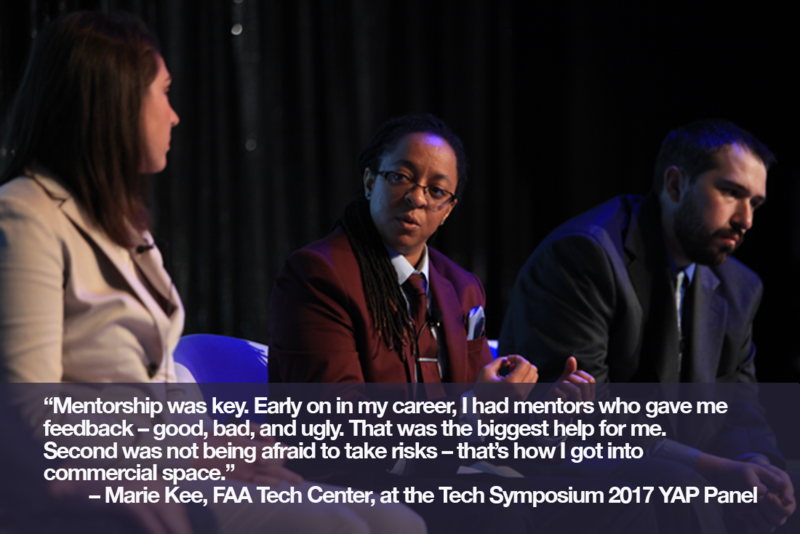 Its mission is to foster the next generation of aviation leaders by empowering young professionals with the knowledge, exposure, and relationships to tackle critical aviation challenges over the course of their careers. in the DCA terminal after the Tower Tour. in the YAP Tower Talks presentations at the ATCA Annual. Little did we know back then that we'd grow up in the second golden age of space exploration! Working in aviation now, we know a lot more goes into space transportation than just making sure astronauts have the right size space suits (too soon?). The mission of the FAA's Office of Commercial Space Transportation is to ensure protection of the public, property, and the national security and foreign policy interests of the United States during commercial launch or reentry activities, and to encourage, facilitate, and promote US commercial space transportation. Interested? We've got three FAA experts to lead a conversation on the future of comm space. 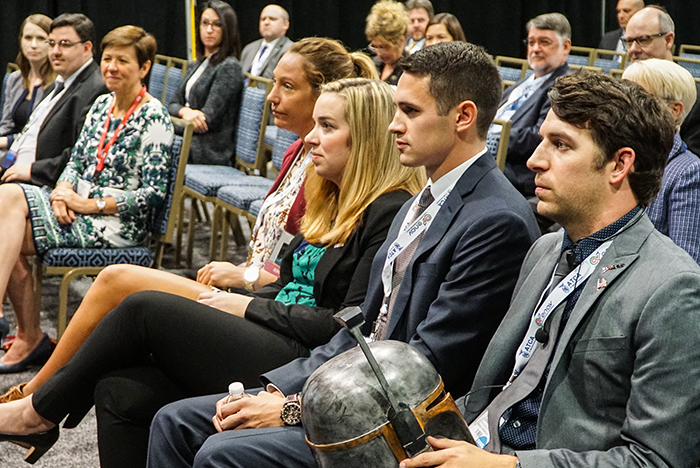 Meet Dan Murray, manager of space transportation development division, Duane Freer, NAS operations manager, and Maggie Geraghty, ATO safety manager, to learn what the FAA is doing to advance the new space age. Lunch is provided courtesy of JMA Solutions. ATCA members & a guest are free. $15 for non-members and a guest. Become a member today and save! Email tim.wagner@atca.org for more information on how to join ATCA. Once a year, over 100 young aviation professionals and seasoned industry leaders alike gather on the beautiful rooftop terrace of 600 Maryland Ave., SW. There, big names and soon-to-be big names meet, mingle, and create professional connections in a relaxed atmosphere. This year, we were pleased to welcome you all again. As the industry changes, along with faces and titles, we're excited to once again connect the people who connect the world's airspace. Want to make some friends and move the needle on your career trajectory? Join us at the next Rooftop or any of the other YAP events for access to these aviation leaders, both young and young at heart. Today was a great reminder that the US National Airspace System (NAS) is above all, really cool. 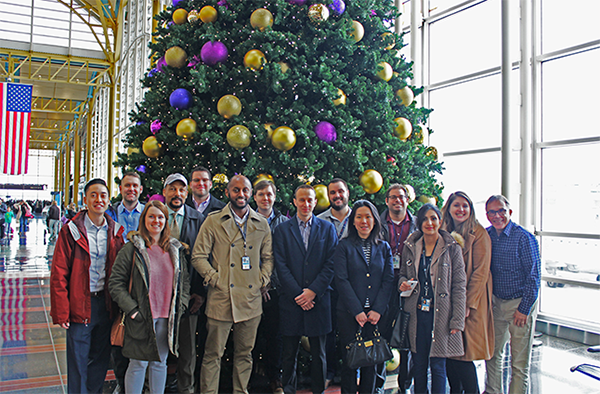 Air Traffic Control Association's Young Aviation Professionals (YAP) were treated to a tour of the Federal Aviation Administration (FAA) Air Traffic Control System Command Center (ATCSCC) in Warrenton, Va. The ATCSCC, a.k.a. the FAA’s Command Center, is the only facility of its kind in the world. While it doesn’t directly control traffic, it oversees more than 43,000 flights and 2.5 million airline passengers across more than 29 million square miles of airspace (making up a little more than half of the world’s air traffic). Its primary focus is balancing system capacity with demand. It’s where the FAA crafts and implements solutions to NAS-crippling situations (think grounding all aircraft immediately following the Sept. 11 attacks and creating work-arounds for the 2014 Chicago Center fire). Much like air traffic control, a great deal of the Command Center’s work is carried out seamlessly without the public knowing about issues. For example, just this week, Philadelphia International Airport (PHL) suffered an ATC Zero situation when they lost radar for about an hour. The Command Center – through its 24/7 operation including the National Weather Service, airports, en route centers, security, stakeholders, the Tactical Customer Advocate (TCA), and technical operations – quickly handled it without major interruption to NAS operations. 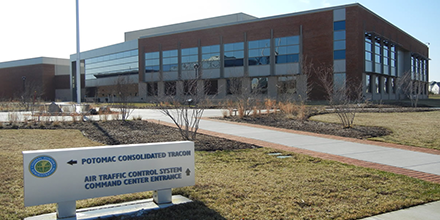 The facility is busy transitioning from a traffic flow command center to becoming a full FAA command center, which is set to be complete in 2019. 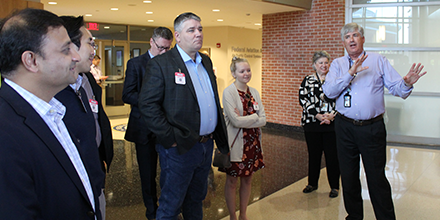 Our group was even treated to a sneak peek at the Command Center’s new space operations room, set to be officially unveiled at a dedication ceremony tomorrow. 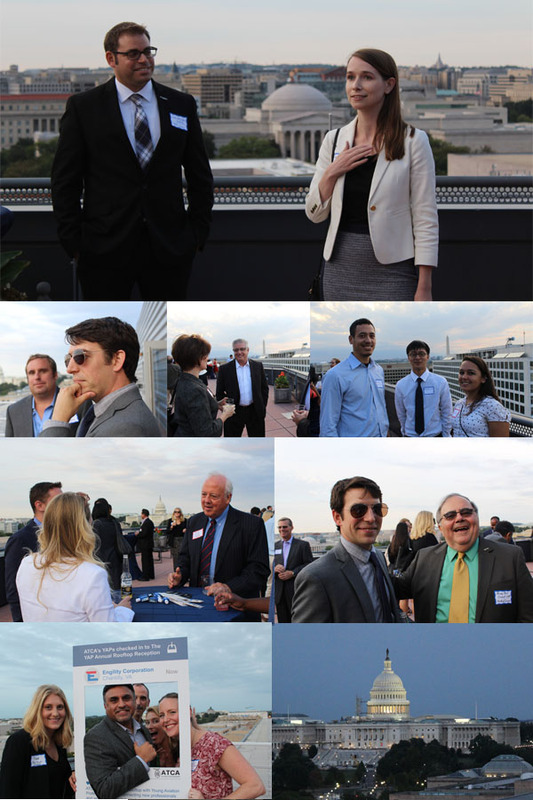 Young aviation professionals and seasoned industry leaders alike gathered on the beautiful rooftop terrace of 600 Maryland Ave., SW. Big names and soon-to-be big names met and mingled in a relaxed atmosphere. Continuing the dialogue about our industry and how we fit in. ATCA’s Young Aviation Professionals (YAPs) said goodbye to the long summer’s humidity and hello to their 75+ closest friends. The mood was ebullient (word of the day perhaps?) and for once, the weather cooperated. Everyone was thrilled to once again stand outside without sweating profusely and it showed; it felt like a reunion of old friends. In the span of a half hour, and without much effort, I got another article for ATCA’s Journal of Air Traffic Control (shameless plug here), an idea for a future YAP event, copious photos of the Capitol sans scaffolding, some truly spectacular meatballs, and vented about our industry’s overuse of the word collaboration. It was glorious and, dare I say, fun (even though I was technically working). That’s the thing about networking (another overused word): The best kind happens without hardly trying. You find a kindred spirit on a roof and suddenly you have another friend. You see that friend at the ATCA Annual, and then again at World ATM Congress March in Madrid, Spain – okay, I’ll stop). And what links them together? A simple but stellar conversation you had at the YAP Rooftop Reception. In the end, it shows that our events aren’t all that different. They’re all forming a dialogue about our industry and where we fit in it. 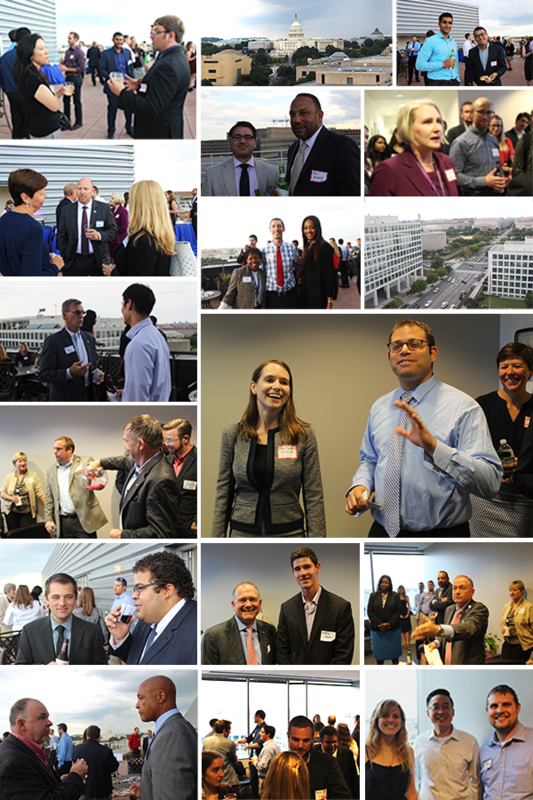 Thank you to all the YAPs who came out to the Annual Rooftop Reception! 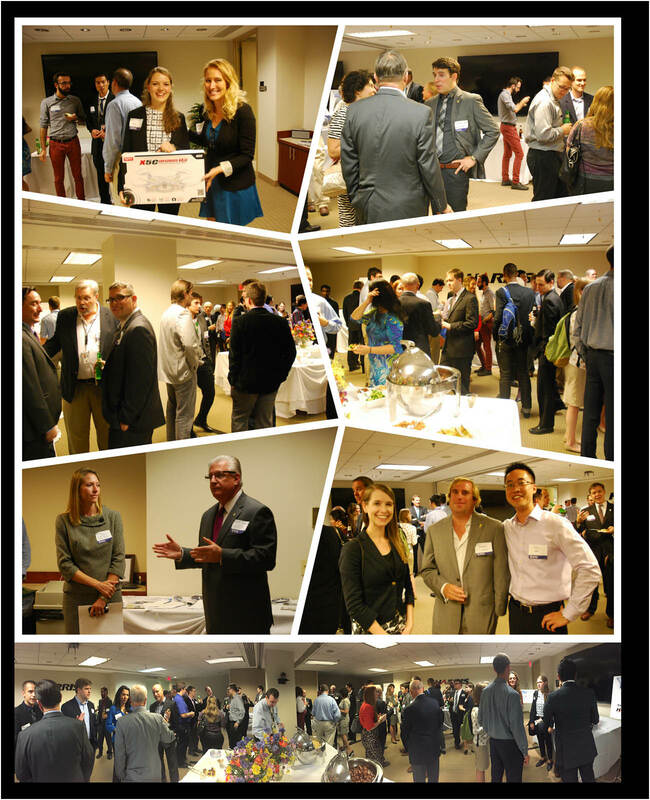 Interested in attending more YAP events? Sign up to receive our emails. Knowledge: Providing the leader of tomorrow with access to events and information to foster knowledge. 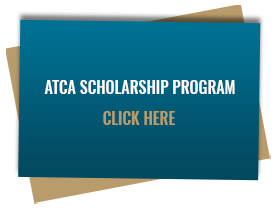 ATCA access (with benefits such as the opportunity to serve on committees, receive The Journal of Air Traffic Control, and much more). Exposure: Providing young professional access and exposure to leaders in the aviation profession. Relationships: Providing a network for young professionals with diverse backgrounds. YAP routinely looks for sponsors to support our work. Sponsorships are event-specific, and we strive to provide outstanding recognition to those who enable our events. If you have access to a unique facility, would like to invite YAP members to an existing event, or would like to speak on a topic, please don’t hesitate to contact us.